Data is something that we all keep coming across in our everyday life. It could be anything such as transferring music or video series from one mobile device to another, it could be using your 4G internet, saving all your images on the drive or a simple login to social media accounts. Now, all this things can be handled very easily nowadays using traditional databases. Along with time and advancement in IT, the need to use social media especially for businesses has also increased. We see new platforms like WhatsApp and Skype coming up with their for business versions. The reason, is we are slowly moving to the data era. If you analyze the day-to-day activities, you will realize, that data is something that you keep using now and then. Due to the increasing use of social media, public Wi-Fi, there is a humongous amount of data that is been generated nearly every day. So, to differentiate such data from traditional data, it was termed as Big Data. Big Data can be defined as a huge volume of data that cannot be stored in a traditional database system. Big Data is not only humongous but it is also a really complex data set that we cannot process or carry out any operations on, using simple, day-to-day database applications. So how do we recognize big data? 1. Variety: When it comes to Big Data, we do not limit it to structured data, it can be unstructured too. Social media being in so much demand these days, the data posted on social media is not always just characters or numbers. It can be images, music, videos, GIFs and all sort of infographics as well. All this comes under a variety of data. Such a variety can characterize Big data. 2. Volume: Volume can be defined as the amount of data that is generated by any orhanization or industry. It may be structured or a combination of structured and unstructured data. 3. Velocity: It can be understood by how frequently the data is generated. 4. Veracity: Data is always big. Veracity is the uncertainty of data. According to a survey, 27% industries are unaware about the inaccurate data that has been generated by the sources. Big Data being the next big thing in IT which will not only revolutionize the IT sectors but also affect the marketing and businesses on a very positive note. For all this to happen, the idea of what Big Data is, isn’t really enough. It is also important to understand the science and processing of such a huge data. One of the ways/methods is to use Hadoop architecture. Hadoop helps the user to analyze all the data at once, irrespective of the nature and the size of the data and convert it into insights. These insights are used by businesses, and other sectors to understand the hidden meaning of data. For businesses, it could be about the customers, demography of the customer and the target audience. Extraction of relevant information and presenting it in terms of visualization is in short known as the Big Data Analytics. We will learn more about Hadoop in the next article. 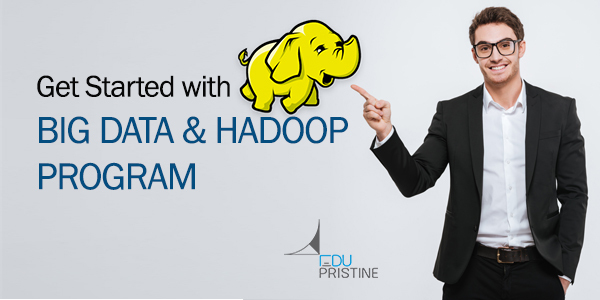 We will understand the different frameworks and the working style of Hadoop. We will basically try and understand how the Hadoop architecture functions. Big Data is no doubt the next big thing in the IT sector. The importance of Big Data and Hadoop is realized by many big giants now and in future we may see the demands for Big Data professionals increasing exponentially. In the next article, we will understand Hadoop architecture and its importance. We will also try to understand the framework and how it helps in processing such a huge data in seconds. Previous Are You a Prisoner to Your Exam Fear?